HM Treasury and The Royal Mint are looking for an advertising agency to promote the arrival of the new £1 coin, which launches next year. The 12-sided coin, which resembles the old threepenny bit, will go into circulation in March 2017. The government is looking for an agency to make the public and businesses aware of what they need to do to prepare for the launch. The brief is open to agencies on the government roster and the process is being run through the Crown Commercial Service. 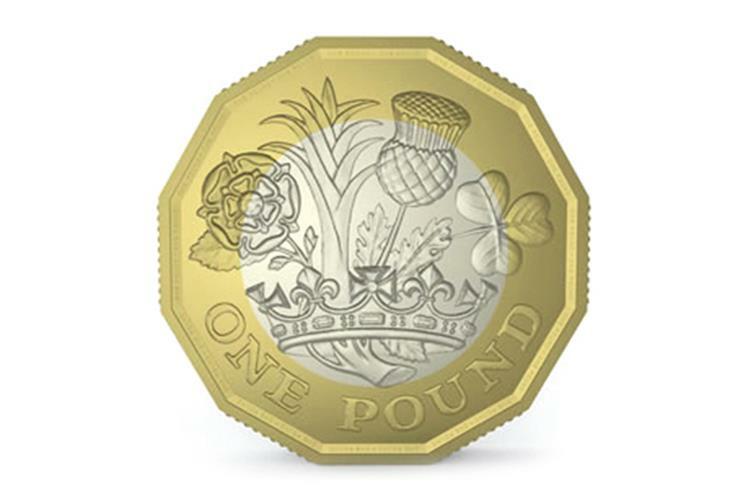 A spokesman for HM Treasury said: "Good communications are a vital element in achieving a smooth transition from the ‘round pound’ to the new highly secure £1 coin. "The new pound coin will not enter circulation until March 2017 and, although recoinages are nothing new, it remains vital we provide the range of business in the UK affected by the changeover with the information they require." Last year, the Bank of England appointed MullenLowe London to the integrated ad account for the new plastic £5 notes. The currency will be issued in the second half of this year and will depict Sir Winston Churchill.